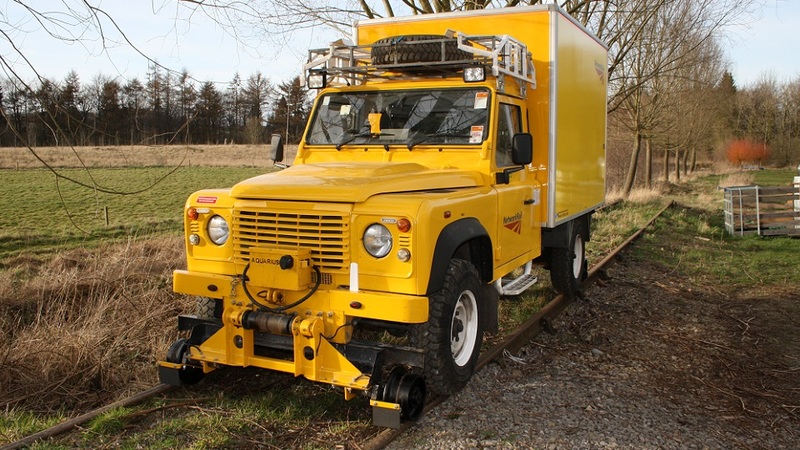 To complete the purchases by Network Rail in Wessex, two Welding R2R4x4s were delivered at the end of March 2014. These vehicles have proved very valuable to the maintenance teams at the Wessex depots. They are used for Welding and general maintenance on track increasing the maintenance teams output and creating cost savings. These two Welding R2R4x4s RRVs (which had previously been converted by Aquarius) have a two seat cab configuration with a large 2.5 metre long back body. This back body provides storage for all the welding equipment. The team at Basingstoke treat theirs as a ‘mobile store room’ with one person in charge of all ‘stock’ to ensure the efficient use of the vehicle. The Weld Truck contains essential equipment which is replenished or added to as the work demands at the beginning of each shift. No loading, unloading, reloading and pushing of trolleys on track for the team at Basingstoke! Generally the Welding R2R4x4s allow the welding team to move 890kg of equipment with shelving specifically designed to hold standard Thermit/Rail Tec equipment . This also allows the safe transportation of the heavy pressurised gas bottles (oxygen and propane) without the need to load and unload them from the vehicle. When on track welding can be completed from the back of the vehicle. These vehicles can also be used with two Load Tray Extensions (LTE) to transport extra equipment weighing up to 980kg on track. 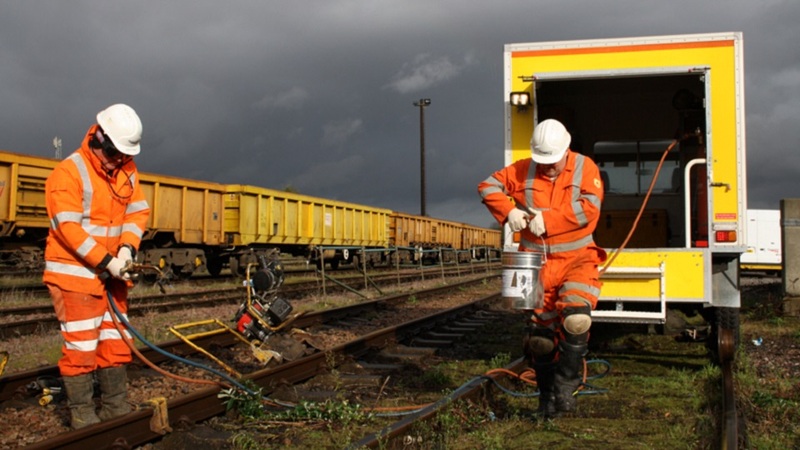 The sale included the overhaul of the Welding R2R4x4s, painting them to Network Rail yellow, adding hand wash units and reversing cameras and new VAB certification to RIS 1530 issue 4. Our customers at Network Rail are happy with the vehicles, with Rob Conn, Track Section Manager at Basingstoke commenting that he was pleased with the ‘swift service’ that Aquarius provided.